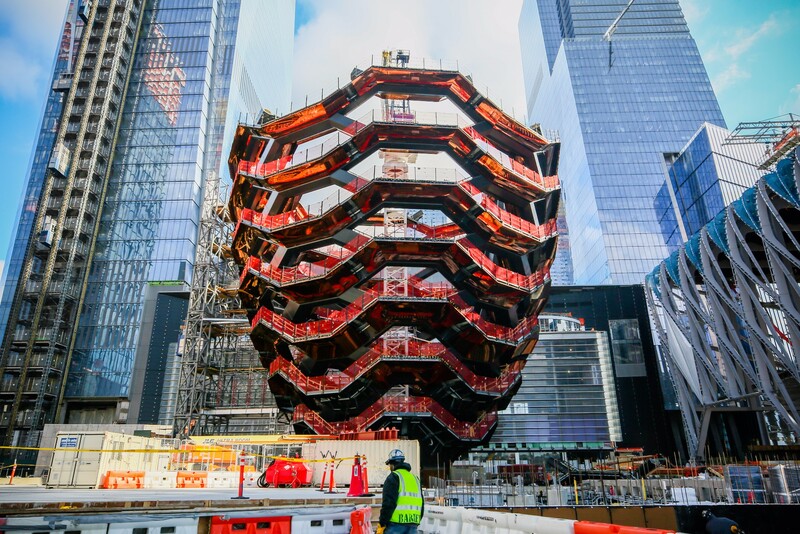 The Hudson Yards website dubbed the Vessel “New York’s Staircase,” when describing its 154 “intricately interconnecting flights of stairs—almost 2,500 individual steps—and 80 landings.” The $150 million interactive landmark topped out last December. 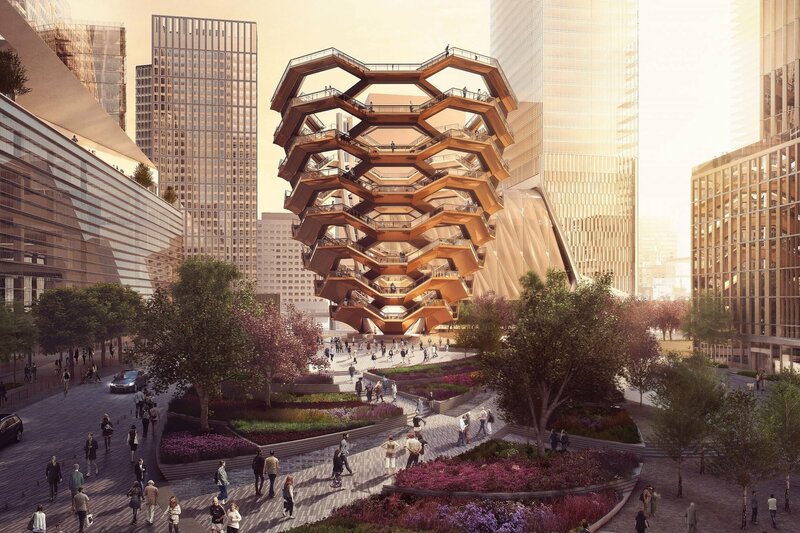 It sits at the center of the Hudson Yards Plaza, which will be landscaped and also hold a fountain. In advance of tickets to climb the public installation, which will become available in February, you can sign up for an advanced place to be notified when the schedule opens up. There will be dedicated time slots, at least in the beginning when the attraction is sure to be flooded with New Yorkers, but since the structure can hold a whopping 1,000 people at a time, this shouldn’t be much of a problem. In the meantime, feel free to suggest a name for the climbable interactive landmark.